If I have to see the late-summer kale and white bean recipe in the post below one more time... It's been a long, strange year — one during which I've hardly been able to find the time to keep up with all the cooking, baking and shooting that goes into KLB. But I haven't been entirely happy about that, and I'm hoping to change it in 2014. 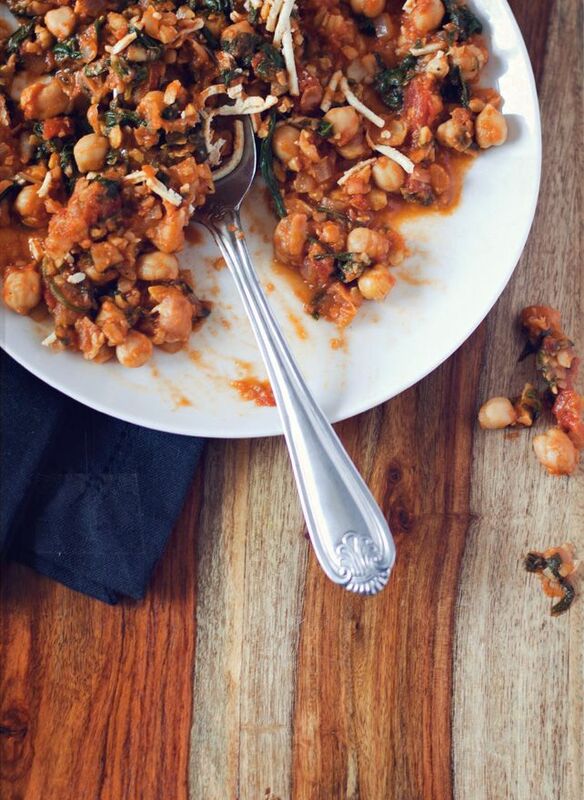 In the meantime, I'm pulling out one of my favorite wintry recipes from the recent archives: Spinach and Chickpea Stew... Perfect to warm up with on a cold winter day.